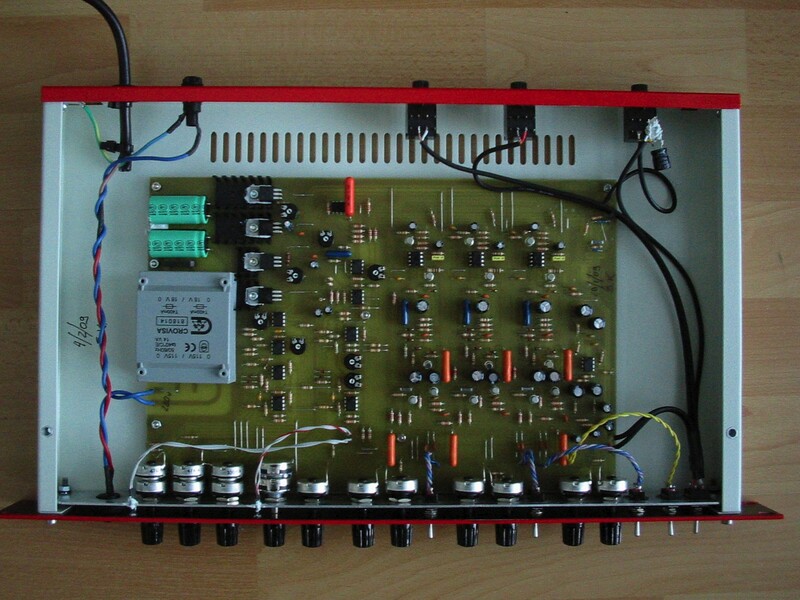 This is an tripple analog BBD chorus with two LFOs build by Synthoma from Spain. The man behind it is Sergio Koval. Be sure to visit his webpages at www.synthoma.net. It is doing the very same as all those classic ensemble FX boards in vintage string machines. And to get the details right, this unit does not only feature the typical two LFOs modulkate three different analog BBD choruses, but it also let you chose the LFO phase change in either 120¡ and 180¡. So yo can get it to sound like differend brands of ensemble FXs. 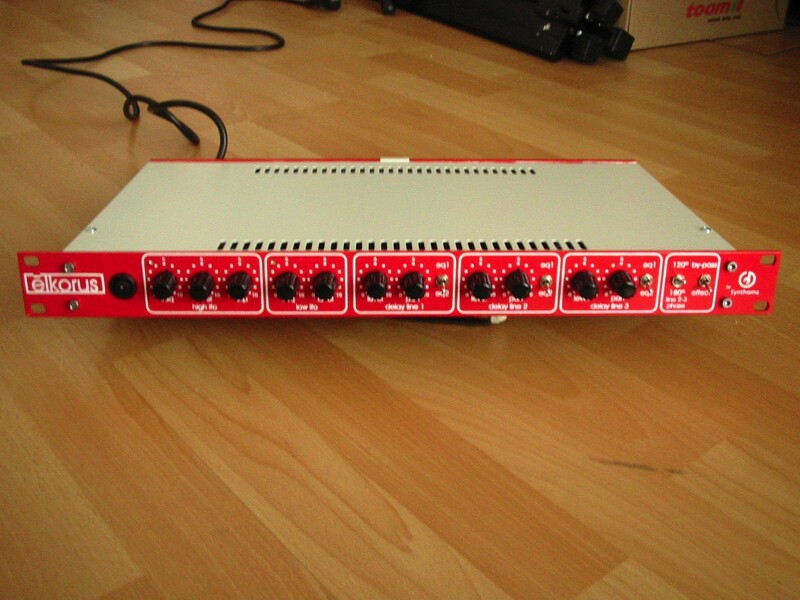 And the LFOs are here not set to a fixed speed and modulation level, but this is changeable with knobs. 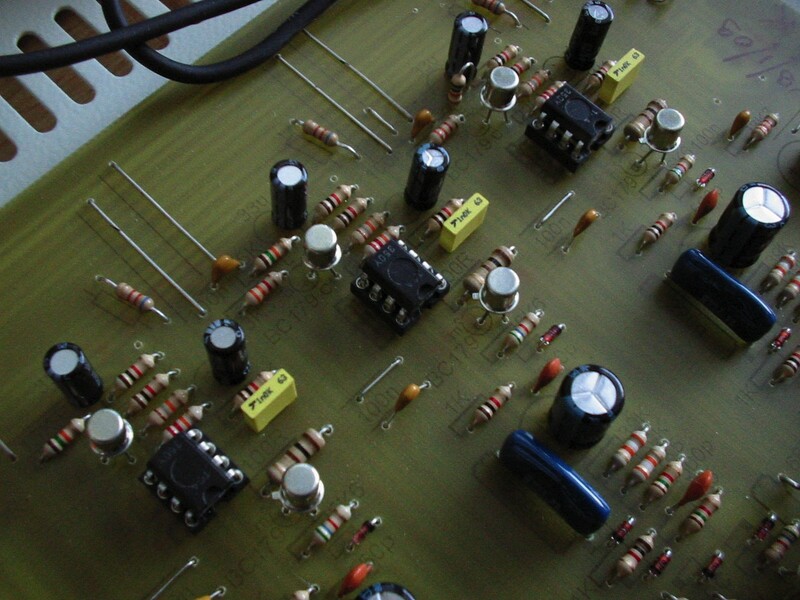 And there are knobs for the volume and the panning of each individual chorus delay line. Plus a switch to change a preset filter to the typical nasal like quality used by those famous seventies vintage string machines. So you need only a very basic patch with a pulse or saw wave shape and and no detuning feed into it to get a real good string machine sound. No more carrying a bulky string machine to a gig. And time to sell those vintage string machines. Atleast some of them. Mono input and stereo output. All at typical line level. A fuse and the power cord at the right.